The International Journal of Clinical Pharmacy (IJCP) is a Peer review journal and every article submitted is subject to review by independent scientists who are familiar with the topic of the paper. In an ideal world, if every contributing author of every published article would be able to review one manuscript per year, the IJCP would enjoy a luxury situation of having too many reviewers. This is easy math. So far, so good. In 2013, IJCP actively tried to mobilize our published authors to review for the journal. Each published author was invited to review another paper. Approximately 10 % accepted the invitation; 20 % politely declined; 70 % did not bother to respond. 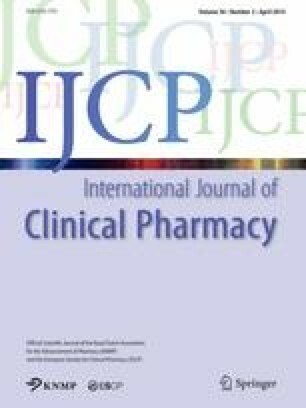 Another example: in January 2014 IJCP published a Special Issue on Adherence which was compiled in 2013 (http://link.springer.com/journal/11096/36/1/page/1). All authors invited to contribute to the issue were forewarned that they would be expected to review at least two other papers submitted to the issue. They agreed with this. However, when actually invited to review, they had ‘no time’, were ‘on maternity leave’, were ‘on holiday’, had ‘teaching obligations’ or had some other excuse. Imagine, nowadays even a case report often has 6–8 authors! Even if we assume that many of the listed authors have not really made a major contribution to the paper, there should always be a principal researcher and a supervisor. The latter should certainly understand their science and should be aware of the fact that others have sacrificed their free time to review their manuscript (often several rounds). While peer-review is currently under continuous scrutiny and debate, IJCP strongly believes in its value to the community and the role it plays in providing a kind of quality mark for science. In order to safeguard the quality of the science published in IJCP, I believe it is essential that authors of published articles should, noblesse oblige, take up their responsibility to review for other colleagues. In the first issue of 2014, IJCP published a list of people who had reviewed for the journal in 2013, and we were happy that there were so many! I am sure you understand that our ‘Thank you’ to the reviewers is really heartfelt. I very much hope that the authors of published articles feel the same.